After the lake dried up, winds swept storms of sand up from the lake floor, dumping it on the shoreline and creating the famous Mungo lunette. This is the site of the spectacular Great Walls of China, which have been carved from layers of the lunette. As the lunette erodes it reveals remains and fossils. 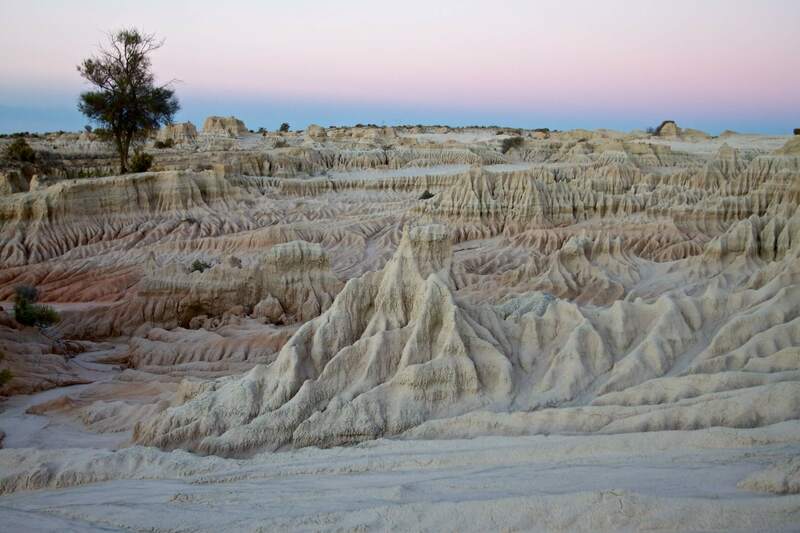 The ancient dunes at Mungo are known as the “Walls of China”. As the sands shift, ancient and extremely well preserved campfires, cooking hearths and burials as well as the remains of long extinct animals have been uncovered. The fragile formations of sand and clay have been shaped by wind and water and are spectacular when viewed in their entirety from a distance.